Which Boots Are Best For Snow? For minimum slippage on snow and ice, you want an outsole that is relatively soft with maximum tread. Ralph Fabricius of Russell Moccasin told me that you don’t want “a real hard sole for ice—that’s two hard surfaces up against one another. Some Vibram [brand] soles have more forgiveness to them.” So a dress leather sole is right out—adding a Topy rubber sole probably helps a little. The title of grippiest, according to Ralph, goes to Vibram’s Fire and Ice or Olympia soles. My Danner boots (pictured above) use a light but deeply lugged Vibram Kletterlift outsole that suited me well on a trip to Quebec last January. The white Christy wedge sole that looks so darn good with so many boots is not a great choice for snow—too flat and too hard. For dress boots you’ll find Dainite studded rubber or Ridgeway (also a Dainite product) soles are handy and widely available on better British shoes, especially country boots like those from Crockett and Jones. Likewise Commando lugged soles. On icy sidewalks, though, there’s not much you can do but be cautious. In cold temperatures, you can often get away with outerwear that’s not 100% waterproof—it will take a lot longer for snow to soak through the shoulders of a heavy wool coat than steady rain. Water from melting snow can start getting into shoes rather quickly, though. Leather is hide, and by definition porous, so you have two options: treat your leather boots with a waterproofing compound like mink oil or Obenauf’s LP, which can darken leather and will need re-proofing over time, or add a layer of synthetic material, like Gore-Tex. 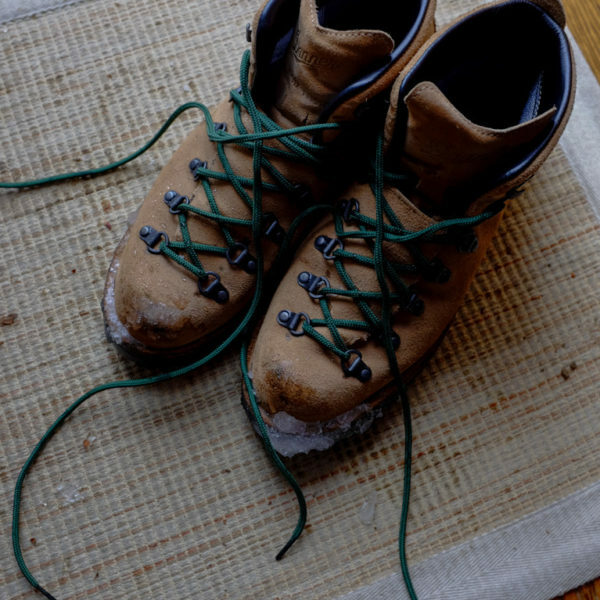 Hiking boots—I’m partial to classically styled models like Danners or Merrells—are the most likely to feature a synthetic liner; I don’t know of any true dress boots that do so. 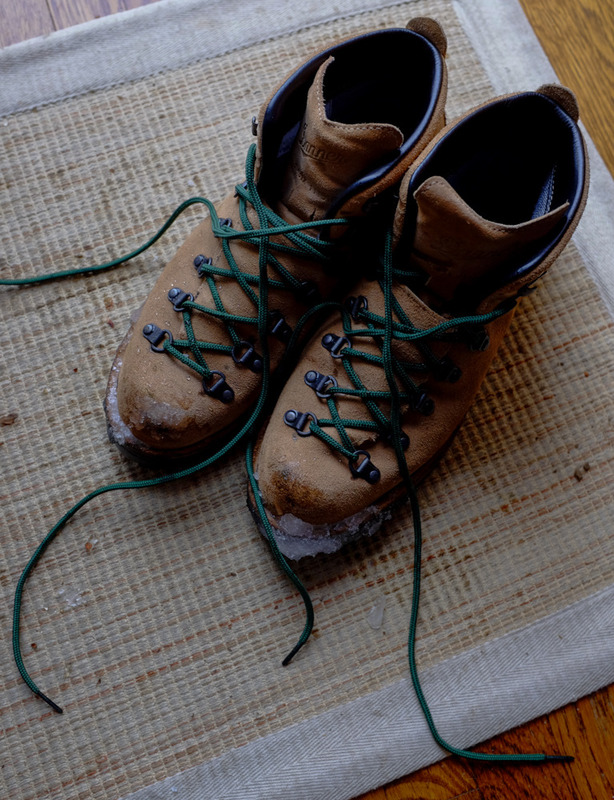 Of note is that the highest-end hiking boots, like Limmers, do not use synthetic midlayers, but rather recommend waterproofing treatments. For dress boots, you’re best off avoiding serious snow and slush if you can, and treating your leather boots well, both before and after you go out in winter conditions. So, rub them down with a quality, natural leather protectant regularly, and once you get out of the snow, wipe them clean, use shoe trees, and let them dry away from heat to avoid cracking or overdrying the leather. Crockett and Jones’s Snowdon model is one of the few dress boots that claim to be waterproof, with a waxy leather upper and Norwegian/Veldtshoen construction that is less likely to let water seep in between the sole and the upper than most shoes. If I had a pair of Snowdons, though, I’d still shovel the walk in something I wouldn’t feel I had to fuss over. Few boots are significantly insulated by themselves. Viberg hikers use a layer of Thinsulate, and you can always wear down booties, I guess. Bean Boots, a classic choice for long New England winters, are really quite cold, although L.L. does offer shearling/Thinsulate lined models. For dress boots, Paul at Leffot recommends Edward Green Galway boots, which can be made to order with a shearling lined shaft. Woah. Let’s see those again. Nice. Like Eddie Green Uggs. Of course, warm socks provide insulation when boots don’t. Cotton socks are poor insulators when dry and miserable to wear when wet. I’m a big believer in SmartWool’s widely available wool-blend socks. Are they dress socks? No; but if you’re wearing a boot with a high shaft anyway, the dress-appropriateness of your sock becomes less of an issue. If you’re desperate for a little more warmth without resorting to all-out ultra-thick hiking socks, you can add a sock liner, which you wear as sort of a baselayer for your feet. Sock liners (also called liner socks) are usually made from synthetics or silk—quite comfortable and not too thick. One last tip for warm feet: add a layer to your legs. Long underwear under your trousers is too warm for most offices, but if you know you’ll be out in the elements a while, they’re worth it: warmer legs will make your feet feel warmer, too.